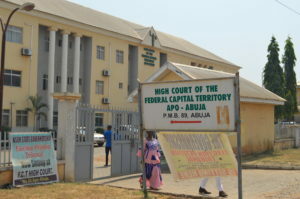 The Commission had accused them of committing the offence in 2015 by cloning title documents for a plot of land in Guzape district of Abuja, and using same to defraud one Mr. Tobechukwu Obiechina of N7 million. They added that the trial Judge should show leniency, more so as their clients had displayed utmost remorse by paying back the N7 million to the victim of the crime. The court however discharged and acquitted one of the accused persons, Mohammed Sanni Auta, saying that his role of helping to secure a buyer for the land was done without him knowing that the title documents were forged.